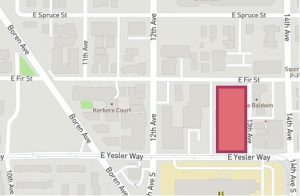 The Seattle Housing Authority (SHA), Seattle Chinatown International District Preservation and Development Authority (SCIDpda), and Capitol Hill Housing (CHH) announced a joint venture to develop 158 apartments of affordable homes for working families in and around the communities of Yesler Terrace, Little Saigon, and the Central District. This is the first known formal collaboration across two Community Development Corporations in U.S. history, an early milestone worth celebrating for a project estimated to be completed in 2021. Seattle Office of Housing income qualifications are available here.